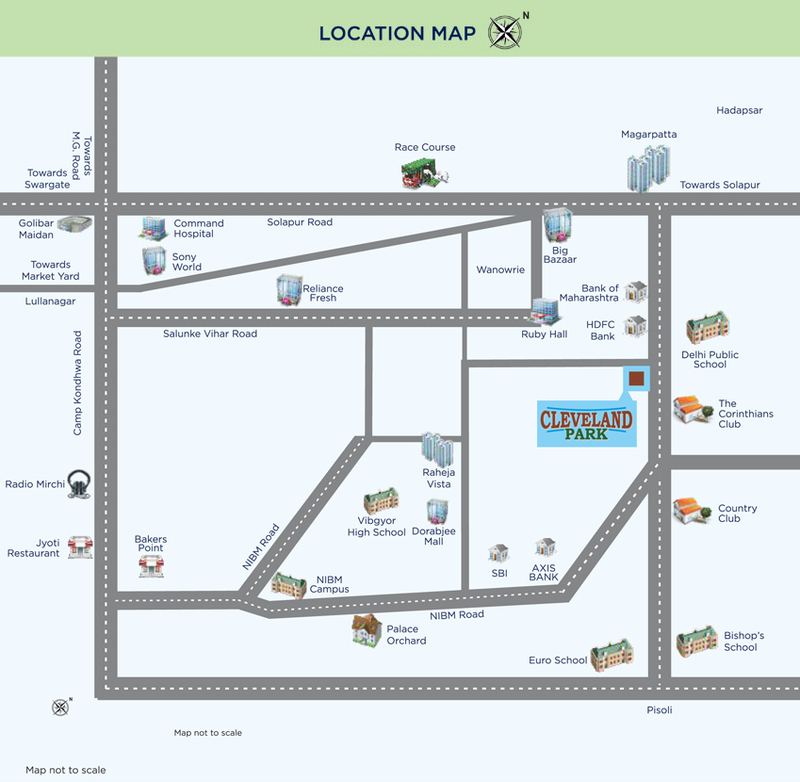 Cleveland Park is located opp Corinthian club, off NIBM road, a prime location of Pune, with abundance of comforts at your disposal. Be it lifestyle, or connectivity to all the hotspots of city, or Leisure in terms of Malls and multiplexes, & Educations in terms of finest of schools, it’s all available ! ICICI Bank ATM : 100 mts. Bank of Maharashtra: 600 mts. Royal Heritage Mall: 1.8 km. Desai Eye Hospital: 1.2 km. 938/B, "RAJANI", Model Colony, Pune.